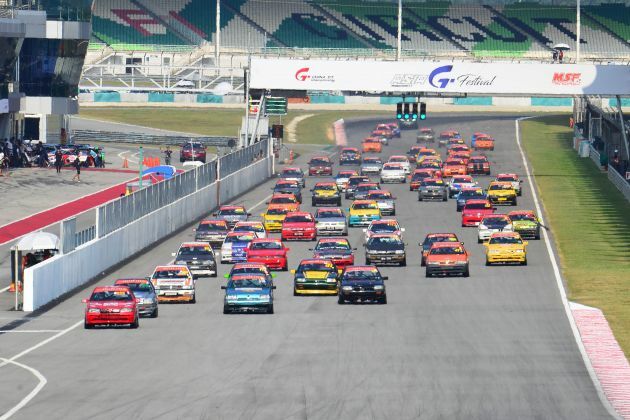 The first round of the 2019 Malaysia Speed Festival (MSF 2019), which was held at the Sepang International Circuit, saw no shortage of historic moments and exciting close quarters racing to entertain the nearly 15,000-strong crowd that attended the event over the March 15 weekend. Held alongside the Asia GT Festival, the list of participants for Round 1 was not only expansive with 205 cars being entered, but also diversified as there were entrants from neighbouring countries such as Thailand, Singapore, the Philippines and Indonesia. While there was a variety of race categories, the most anticipated was no doubt the Ultimate with cars such as Speed Demon Motorville’s turbocharged Honda EG6 (#29), MilleniumFatboy Penrite’s four-wheel drive Proton Satria Turbo (#21), Wenso Racing’s Honda EG6 K24 (#50), Sitty Racing Team’s Honda EG6 K24 (#500) and Empire M ByKunyit’s Honda EG6 K24 (#13) all vying to come out on top. Following an incident-packed time on track in the first race, it was car #29 that secured first place in the deciding final race, followed by car #21, #50, #500 and finally, #13. 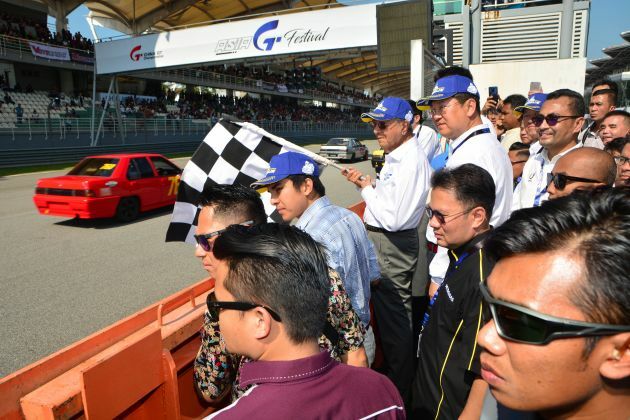 Equally a crowd puller is the Saga Cup, and for the first round of MSF 2019, prime minister Tun Dr Mahathir Mohamad was on hand to flag off racing versions of the first Proton car he unveiled 35 years ago. On the mention of the national car brand, the 2019 season of the MSF also welcomed a fleet of Proton X70 SUVs as the official safety car, medical car and official car of the racing series. Round 2 of the 2019 MSF season is set to take place during the April 19 weekend, which will also include the MSF Superbikes race. The post 2019 Malaysia Speed Festival (MSF) Round 1 ends with 205 cars entered and intense racing action at Sepang appeared first on Paul Tan's Automotive News. 0 Response to "2019 Malaysia Speed Festival (MSF) Round 1 ends with 205 cars entered and intense racing action at Sepang"